Thanks to your feedback, Swimia has turn out to be in just quite a few months one essentially the most very important websites of swimming pools. Here you've got all the info we know about De Waterlelie, in Aalsmeer. 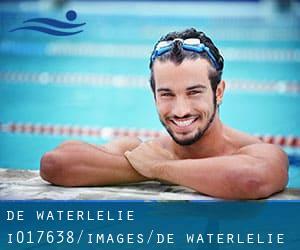 Don't forget you can also promote this pool so De Waterlelie will appear the very first of Aalsmeer, or even the first of one's country, make contact with us to know a lot more. Updated on 2019 De Mirandalaan 9 , Rivierenbuurt , Amsterdam , NETHERLANDS (Postal Code: 1079 PA). Among all of the activities provided by the center, in case you are considering swimming you are going to enjoy 25 meters, 6 lanes, Indoors. Just in case you would like to get in touch with this Swimming Pool before dropping by, we only know the phone number. Updated on 2019 Raadhuislaan 8 , Grootebroek , NETHERLANDS (Postal Code: 1613 KR). This sports center offers 25 meters, 5 lanes, Indoors. Contact information for this Swimming Pool like phone number and e-mail address are number. Updated on 2019 Oostelijke Randweg 15 , Noord Scharwoude , NETHERLANDS (Postal Code: 1723 LH). Among all the activities provided by the center, when you are considering swimming you will appreciate 25 meters, Indoors. If you need to contact this Swimming Pool, email address and phone number are both number. Updated on 2019 Hobbemastraat 26 , Oud-Zuid , Amsterdam , NETHERLANDS (Postal Code: 1071 ZC). Swimmers like you reported 25 meters, Indoors. Unfortunately we do not have the email address of this Swimming Pool, but we can give you the phone number. Updated on 2019 Amersfoortsestraatweg 16 , Naarden , NETHERLANDS (Postal Code: 1411 HD). Among all of the activities offered by the center, if you are considering swimming you are going to appreciate 25 meters, Indoors. If you need to contact this Swimming Pool, e-mail address and phone number are both number. Updated on 2019 Sportlaan 2 , Alkmaar , NETHERLANDS (Postal Code: 1815 LV). This sports center offers 25 meters instruction pool, Indoors. Contact information for this Swimming Pool such as phone number and e-mail address are number. Updated on 2019 Schumakersweg 3 , De Koog , NETHERLANDS (Postal Code: 1796 NM). Swimmers like you reported 25 meters, 5 lanes, Indoors. Phone number and e-mail address are number for this Swimming Pool. Updated on 2019 Vondellaan 60 , Zandvoort , NETHERLANDS (Postal Code: 2041 BE). This sports center gives 25 meters, Indoors. For this Pool, only phone number is number here. Updated on 2019 Wielewaal 8 , Schagen , NETHERLANDS (Postal Code: 1742 GC). Among all the activities supplied by the center, in case you are interested in swimming you can enjoy 25 meters, 1.2 meters - 4 meters depth, 1.2 meters - 4 meters depth, Indoors. If you should contact this Pool, email address and phone number are both number. Updated on 2019 Basisweg 1 , Weesp , NETHERLANDS. Among all the activities offered by the center, if you are thinking about swimming you will take pleasure in 25 meters x 15 meters, Indoors. If you might want to contact this Pool, email address and phone number are both number. Updated on 2019 Amsterdamsestraatweg 40 , Abcoude , NETHERLANDS (Postal Code: 1391 AB). Swimmers like you reported 25 meters x 12.5 meters, 1.2 meters - 2 meters depth, 1.2 meters - 2 meters depth, Indoors. Phone number and e-mail address are number for this Pool. Updated on 2019 Hortensialaan 2 , Hippolytushoef , NETHERLANDS (Postal Code: 1777 XE). Swimmers like you reported 25 meters, Indoors. Unfortunately we do not have the e-mail address of this Swimming Pool, but we can provide you with the phone number. Updated on 2019 Noordsterweg 2 , Wormerveer , NETHERLANDS (Postal Code: 1521 JS). Swimmers like you have reported 25 meters x 15 meters, 6 lanes, Indoors. Also, you will find 25 meters x 10 meters, 1.4 meters maximum depth, 1.4 meters maximum depth, Indoors. If you should contact this Swimming Pool, email address and phone number are both number. Updated on 2019 Schapendrift 64 , Laren , NETHERLANDS (Postal Code: 1251 XH). This sports center delivers 25 meters, 8 lanes, Indoors. Contact details for this Swimming Pool including phone number and email address are number. Updated on 2019 Molenweidtje 2 , Bergen (North Holland) , NETHERLANDS (Postal Code: 1862 BC). Among all the activities supplied by the center, if you are interested in swimming you will delight in 25 meters x 12.5 meters, 5 lanes, Indoors. If you will need to get in touch with this Swimming Pool, email address and phone number are both number.